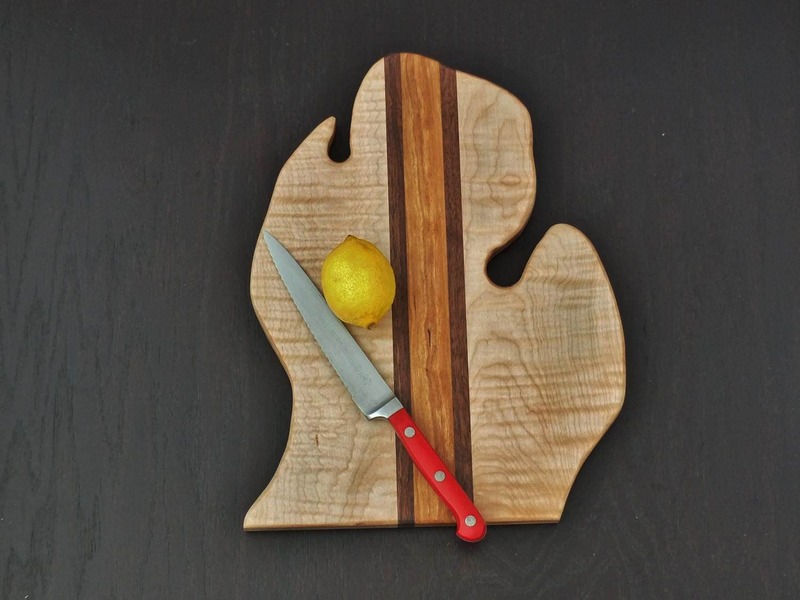 Big Michigan Cutting Board. Lower Peninsula. Great gift for the Michigan lover, snow bird, cook. Shown in Maple with Walnut and Cherry accents. Due to variations in wood grain and color, your board will be similar, but not identical to the board pictured. Our cutting boards are finished by hand, given several coats of mineral oil then finished with a coat of bees wax to provide a beautiful, high quality finish.